Hambly is one of my all time favorite companies so when I was asked to review their new transparency overlays, rub ons, and paper....I was thrilled! I really love working with clear products like acrylic and transparencies so the whole Hambly line is totally for me! 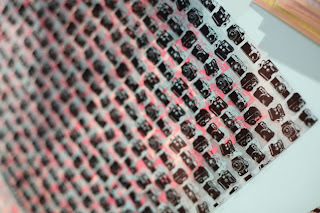 I love the interesting themes that they screen print right onto transparencies as well as paper. This company is always so "hip" and in tune with the current trends if not setting them thanks to their designer Allison Kreft Abad! I was so excited to receive some of their newest release from CHA 2011 Summer called "Camera Collection"! Be still my heart....seriously.....I have a real affinity for cameras. I collect them, I use them as a photographer, and I LOVE to scrapbook with anything shaped or themed with cameras. This truly was a dream come true! First off you must know that these products are on printed on quality paper and transparency. You will be very happy with the ease of use of these products as well. The rub ons are incredible and I consider them the best rub ons I have ever used! It doesn't hurt that the designs are so dang cute too! I find all the items that I reviewed to be of very high quality, easy to use, and simply fabulous. Prices seem reasonable to me considering the quality of work and the uniqueness of the product! What I liked: Well it's HAMBLY....I loved it all! The transparencies were definitely my favorite but I really loved the screen printed paper as well. I appreciated the gorgeous metallic paper Hambly uses to screen print their work. I also really love the bright and very cool colors they screen print onto transparency! VERY COOL colors like hot pink, lime green, orange, turquoise. My favorite thing about these products were the themes.....cameras and banners. And let's not forget about their amazing Washi tape and rub ons!! Oh my goodness....this stuff is incredible! What I didn't like: Honestly.....nothing! This is a little mini album I made creating "pockets" with the transparencies and the washi tape! I also used the washi tape to secure and edge photos. This pocket page was made using two pieces of 6x6 transparency and sealing three sides with Washi tape! Now you can place your 4x6 photos inside the pocket! This is a layout I made using Hambly transparency on top and paper under the transparency in different colors. I also created "flowers" using washi tape and created a frame for my photo with pleated washi tape. If you love to have the coolest and trendiest products with a bit of flair you will just love Hambly. Their products are of the highest quality as well as unique and fun to use. I highly recommend these products for your next project of layout. Have you used Hambly products in the past? What are your favorite lines/products? We want to hear from you! Leave us a comment by midnight EST on Tuesday to be entered to win a Hambly prize pack! I think they are great!!! Love the way you used them in the mini album!!! I love Hambly... thanks to Studio Calico for putting into their kits. I love the banner layout... great idea! I don't have any Hambly transparencies, but I do have some others and can't wait to try out the pocket idea using the washi tape...genius! I only have used the clearly heavy overlay for a mini book cover and the woodgrain overlay (also in a mini book) my wish list for them is HUGE.. I really really want to dive in and check out more of their goodies. Longing to try their tapes!! Thanks for a chance to win a prize pack!! I have used Hamby in the past but I haven't used their tapes which I would love to try. Also love the banners and cameras! absolutely love Hambleys Washi Tape!!!! Can't wait to get my hands on some of their transparencies!!! 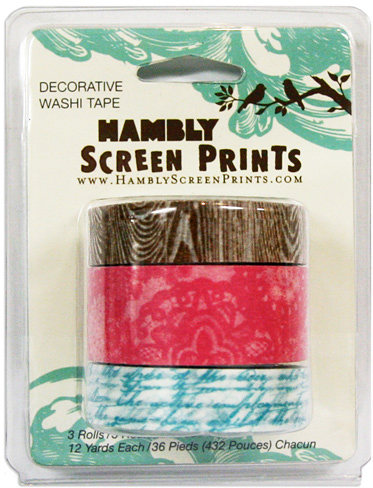 I've never used Hambly washi tapes nor the transparencies before. This is a new product to me:-) Your projects are fab! I don't think I have used Hambly before. Love the book. The cameras on the transparencies are too cute! Wow, I love the transparencies! i have never used Hambly since it is not that easy to get in Germany. Love it! I love both of your projects. I have been enamored with using the Hambly transparencies in mini-albums after seeing Ali Edwards use them so beautifully in her December Daily projects. I've used Hambly products before. I have several transparencies that I can use to make your projects! Yay for using up what I already have! You made such BEAUTIFUL projects with these products!!! I follow Hambly's blog, and they show the neatest tutorials sometimes. Did you know that if you use a little nail polish remover on their transparencies, you can transfer the images from them onto paper? Creates a really cool effect. I love Hambly! I especially love little mini books made with their transparancies! They make the greatest pages either embellished or just left as is. OH my goodness, your little album is GORGEOUS!!! Seriously!!! What a beautiful family you have!! Really like the pockets for pics and the washi tapes you put along the sides of your pics. I've never used Hambly, BUT I have about 50 of their products on my wish list!! Was hooked when they started using so many colors.. I suppose if I actually BUY some one of these days I will become obsessed LOL ;) Thanks for the chance 2 win! Aren't Hambly transparencies so fun to play with! They make such terrific mini album pages, and their rub0ns go on smooth as butter. But my favorite thing about Hambly is that their paper smells like vanilla! Love it all, especially the tape!! I love the tapes! Those are just the best! The camera motifs are fabulous, too! I love the Hambly products. The tapes are lovely. 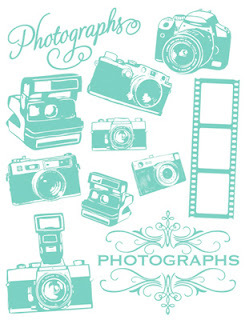 My fave prints are Birds on a wire and the old cameras. I REALLY miss the overlays with different size circles. I would love for them to make a comeback. Especially in orange! This is gorgeous. I love the camera overlay and the banners too! I love the tapes and the rub-ons! 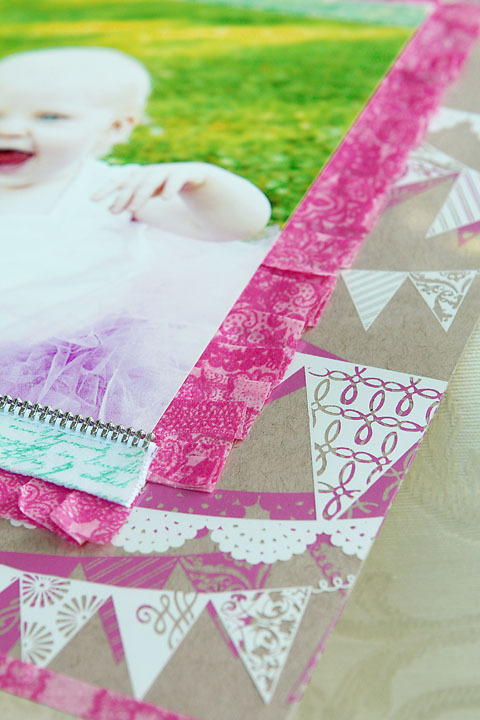 Your projects are so pretty, and I especially like how you layered the banner paper and transparency on the layout. I love that layout! I've used their transparencies before but not the washi tape. It looks like fun! I love working with transparencies and Hambly's are the best! I've used their transparencies before and they're great. Love the designs they come up with. Thanks for the chance to win. Just fabulous! I am totally in love with Washi tapes right now and Hasmbly has amazing ones! I like Hambly transparencies, and I've been eyeing that washi tape for a while. Thanks for a chance to win! your album is so precious. 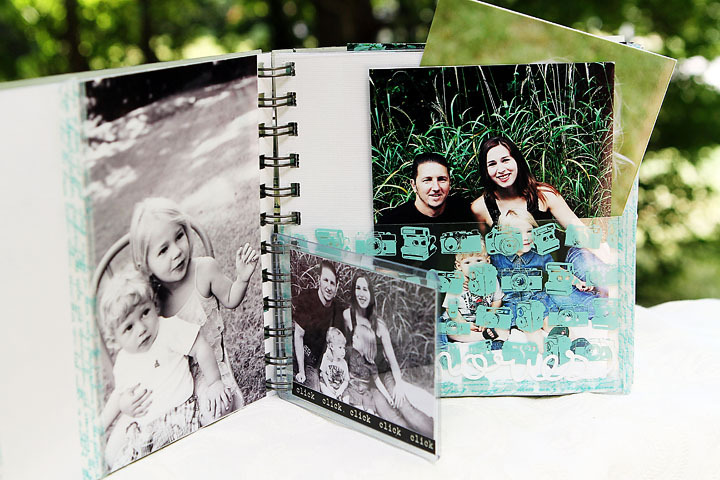 what a great way to cherish your family photos. thank you so much for the chance to win. i've used a few hambly screen lays before and i love them!! they rock! I havent tried Hambly but these look like fun things to add to projects!! Oh my! I love cameras! I love Hambly! Their products are fun, colorful, gorgeous . . . what's not to like! I love what you made!! The book is awesome, and I love that layout!! Wonderful!! That layout is awesome!! Love the layered pennants and the frame around the photo is so great! Love how you used the products in your mini album! Cute! That mini is just the coolest! I love how you used the transparencies as pockets and the touches of washi tape are so fun! 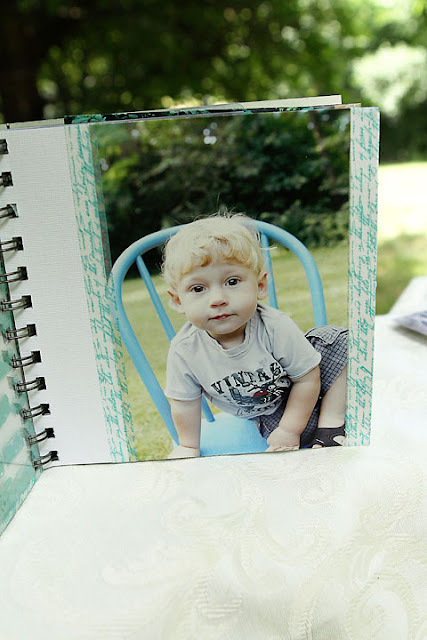 My all time fave Hambly products are from a few years ago - the transparency journaling spots! That mini rocks!!!! Seriously rocks!! As far as Hambly... I have love everything they have come out with in the past couple of years. Flat out... it is all awesome!! Thanks for the chance to win!! 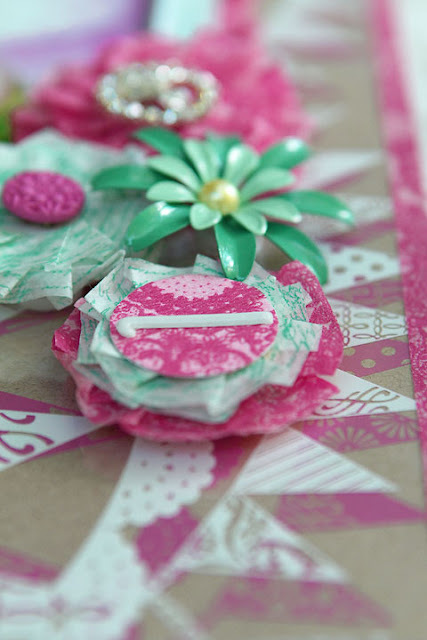 Love that mini album and the ruffled washi tape has me chomping at the bit to squeeze in some craft time. Thanks for sharing! I just received my order of the same tape. Can't wait to try it. Thanks for the awesome project ideas. I'm a hambly and washi tape fan... I want I want I want !!!! love the cameras:) I love Hambly's rubons. I'm a Hambly fanatic. 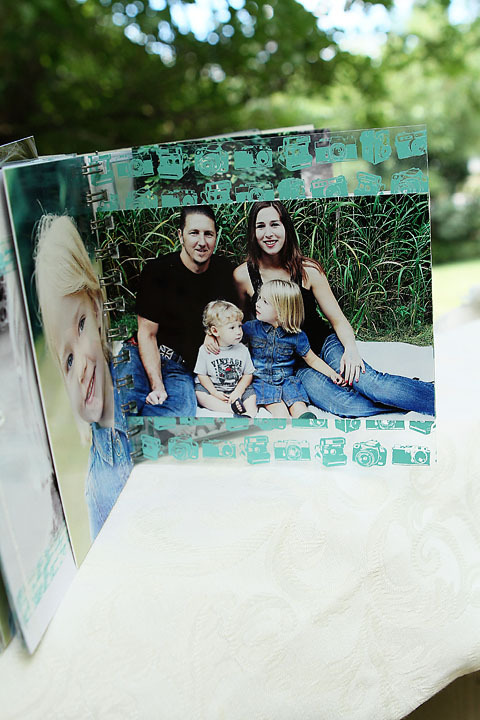 I love how you incorporated the transparencies with your photos - I've been stuck on a project and this has me inspired. I've not used anything by Hambly before but I am eager too. I love your layout and the washi tape is amazing. I am most excited about the washi tape! Fab!! I love their transparencies! They are a good weight, and there are a lot of designs! Slowly falling in love with their tapes. Love!! Love the mini and layout!!! I haven't had the chance to use their products so winning would be fabulous! I love love love Hambly! Their transperencies used to smell like vanilla, I still smell them when I get new ones but I think they stopped scenting the ink? Your banner layout is FABULOUS! I simply love the Hambly Screen Prints and oh, it's great when you used it on your album. Two thumbs up for the creativity. You are fabulous on this artwork. Beautiful! love what you did with it! the film strip caught my eye! would love it! Yes, I have used thier overlays. Love them! Thanks for the chance to win some great product! Today is my bday---what a great gift it would be! Well i adore both of your projects... and i have a massive crush on hambly... i use a bit of hambly on nearly every page i create. 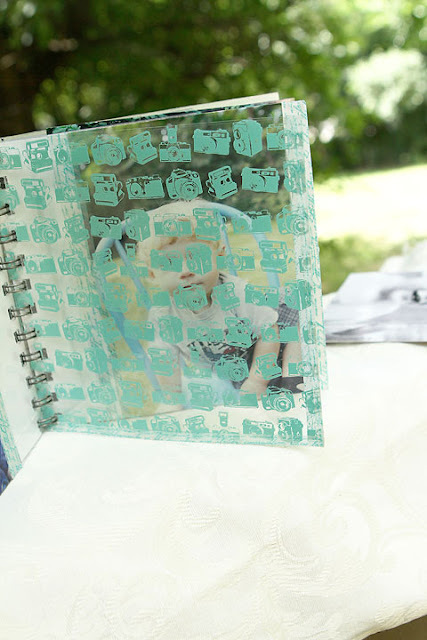 i totally love the transparency because there is so much you can do with them... they are like peek a boo's to me. I have some transparencies and I struggle using them, but I am thinking I need to do a mini album soon! I LOVE the Washi tape!!!! I have used lots of Hambly items in the past & have always LOVED them! Such inspiring & "out of the box" designs! I always adore hambly transparencies. Gorgeous! I adore their washi tapes! 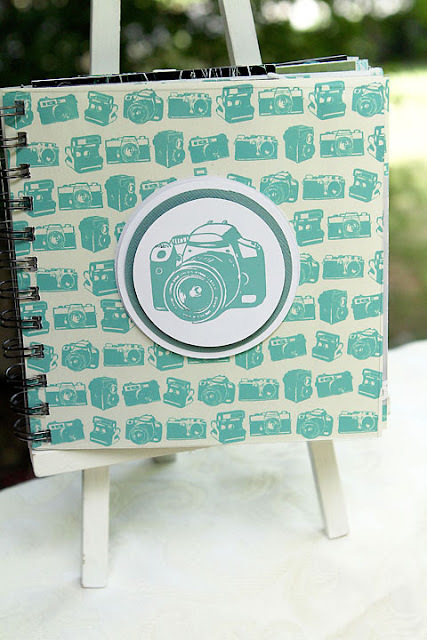 I love how you made such a great creation with a camera motif! Also, I'm planning to buy a tape after seeing this. Hambly transparencies and rub-ons are the best. Now I really need some of the washi tapes!! Love your pocket using washi tape. Must try that! All I have ever used are Hambly's transparencies and I love them. Love Hambly! One of my favs! The transparencies are awesome and such great quality. I love Hambly too!!! I am loving the washi tapes!